I never decided to write a genre-blending novel, it just happened. As a reader, I always craved weird books that are out of the ordinary. I tend to be turned off to a series that stays within traditional genre lines. It’s this predilection that drew me to Stephen King’s Dark Tower series, why I love China Miéville’s New Crobuzon stories so much, and why Neil Gaiman’s American Gods resonates with me. There’s something in those work that feels fresh, new, and free. So it’s only natural that those proclivities show up in my writing as well. 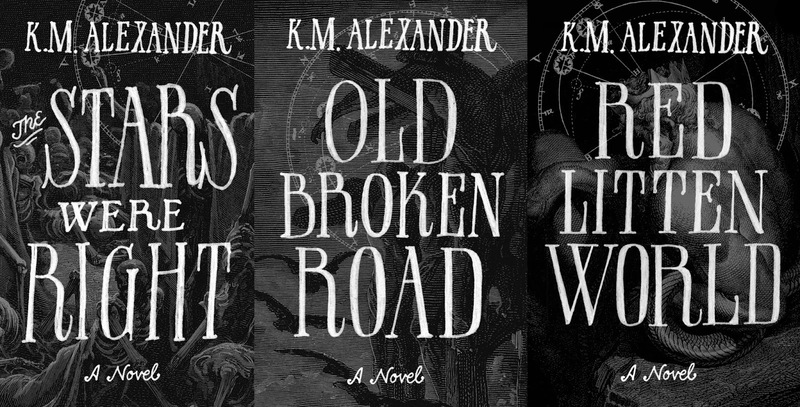 Whenever I talk with new readers about my series,The Bell Forging Cycle, I usually pitch it as “Lovecraftian Urban Fantasy.” But it’s so much more than that; that description comes as a result of simplification. If I were totally honest, I’d describe the series as a "dark cyberpunk post-post-apocalyptic dystopian weird western cosmic horror urban fantasy adventure." Which is a mouthful, but significantly more accurate. I like the vulnerability and risk that comes from working outside established genre tropes. It's a challenge to make a world feel alive. Blending genres means you have to be willing to ask yourself complex questions, and you need to accept that you’re going to follow strange paths along the journey. 1) Don’t Worry about Genre, Tell a Good Story - This should always apply. It doesn't matter whether you’re writing space opera, straight fantasy, swashbuckling romance, police procedural mystery, or a combination of genres, telling the story should always come first. That means you should have engaging characters, captivating plots, page turning twists, and an ending your readers will love. The story comes first. If you’re too hung up on something like the genre, then you might find yourself neglecting the parts of the story that matter. 2) Build the World from a Core Idea - I’ve always been a fan of a single core idea for most worldbuilding. I think having one moment that is the catalyst for the world allows the reader only to have to suspend their disbelief a single time. In the case of the books within The Bell Forging Cycle, I decided to create a world emerging from a cataclysm which is a common enough concept. The apocalypse in question came with the return of Lovecraft’s elder gods who wrecked shop and once again disappeared, fading into myth. Their influence was that core idea, and everything else spun out from that single event. As a result, this series became a setting that has hints of western flair with caravans and pistols and its blue-collar protagonist working the frontier, but it’s often set in the neon soaked streets of a giant multi-leveled city built on the ruins of the old world. 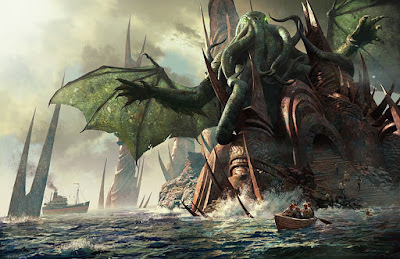 Because of the elder gods’ manipulations, the world is now inhabited by strange species which interact with humanity; it's a place where dark magic can conjure darker creatures, where major religions war with one another, and where sinister cults stir in shadows and whisper forgotten prophecies. But, it’s that single core idea—a world after the return of the great old ones—that influences everything and allows the world to feel complete and whole despite its strangeness. 3) Characters Need to Believe - The weird can often be a difficult sell to a reader. Even if you have a central core idea, many readers feel uncomfortable straying too far from traditional concepts that are inherent in genre. Especially if what you’re proposing sets off a wave of questions. I think a lot of this can be mitigated by characters who believe in the world. If a character believes then the reader will as well. This isn't to say you can't have a character discover a place; that is a common trope with the protagonist, however for every Shadow Moon there is a Mr. Wednesday, who knows the world and believes in the weirdness the author presents. Allowing the characters within a world to accept its reality and treat it as normal can go a long way to making a world feel whole. 4) Avoid the Weeds - I have a rule when working in my worlds and my writing: I don’t go down tangents not relevant to the story. I might know how the planet formed, I might understand the complex history of a nation-state, but unless it's critical to the plot, I try to avoid spending too much time explaining all these workings to the reader. How often have we read a science fiction or fantasy novel that end up throwing info dump after info dump at us? More often than not, these bits of world trivia aren't important to the plot and, while they might serve at expanding the world, unless writers give us a reason to care they are superfluous. They slow everything down. Having that knowledge is important, history, culture, manners, all those things can influence a character's decision. However, explaining it all can make the reading tedious. Instead, work it into the prose. Reveal those details little by little as they become important to the characters and then they'll become important to your readers as well. I like that perspective; it’s what makes writing genre-bending weird fiction so enjoyable. The Bell Forging Cycle won’t be my last foray into writing genre-blending books. 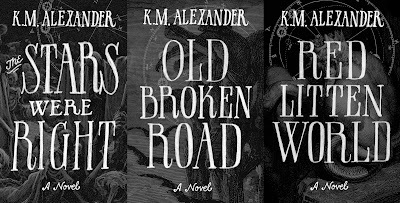 Each project I delve into has aspects in the weird, from my current fantasy project to a new series that I’m classifying as Riverpunk. What’s Riverpunk you ask? Well, you’ll just have to wait and find out. GUEST AUTHOR INFORMATION: K. M. Alexander is a Pacific Northwest native and novelist living and working in Seattle with his wife and two dogs. He is an avid hiker, cold-weather enthusiast, world traveler, wannabe cyclist, and a self-proclaimed beer snob. His work explores non-traditional settings within speculative fiction, bending and blending genres to create rich worlds and unique, approachable characters. 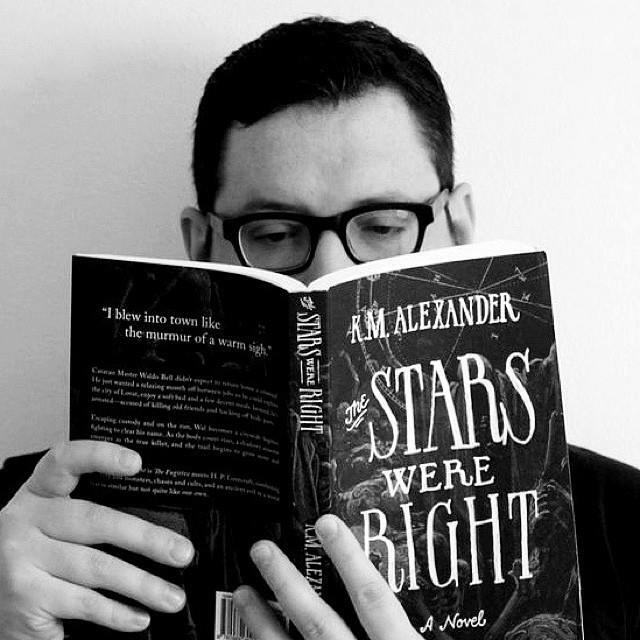 He published his first book in 2013 and completed his debut trilogy in 2015.